Dr. Craig Anderson goes the extra mile for his patients, and provides excellent communication when it comes to any questions or concerns they may have about their endodontic care. 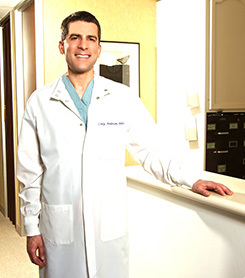 He ensures patients receive top-quality work in an upscale environment at a great location. To better accommodate patients, our office hours are from 8:00 am to 5:00 pm, and if an emergency arises, we're happy to see patients after hours. Same-day emergency care is also available. In addition, our friendly front office staff is always here to assist patients with insurance policy questions and financial planning.